In the summer and autumn of 2015, 1.1 million people arrived in Germany with the aim of seeking asylum. The majority of these were refugees from the war in Syria, many others came from Afghanistan, Iraq, and the Western Balkan. Burkina Faso is a fascinating example of how a long history of socio-political mobilization, the resurgence of interest in a murdered former revolutionary leader, and the digital connections of the social media age have recently coalesced in a successful revolution. 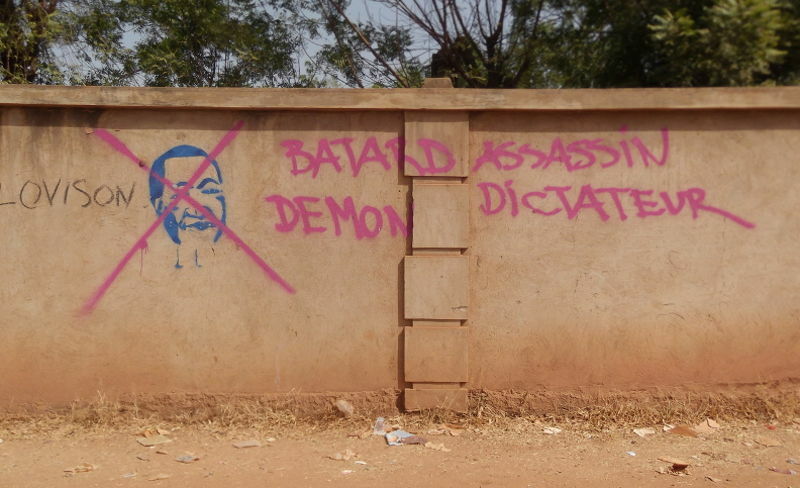 Graffiti, Ouagadougou, December 2014; Photo: Heike Becker. © Dr. Heike Becker - Imprint - Contact - Developed using pelican and a theme based on pelican-simplegrey.